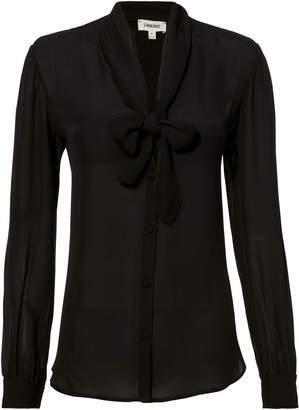 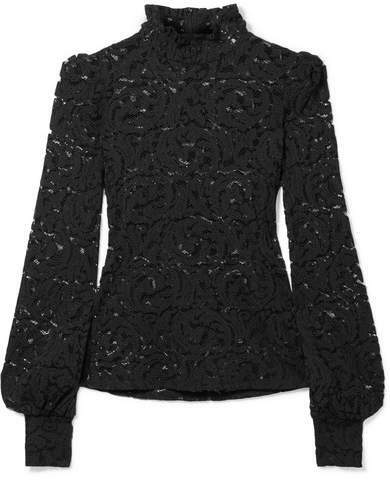 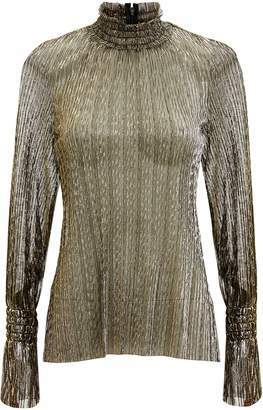 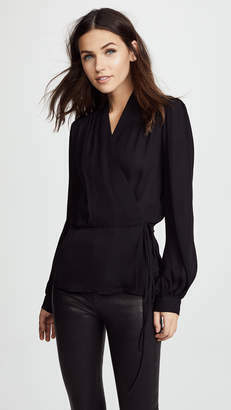 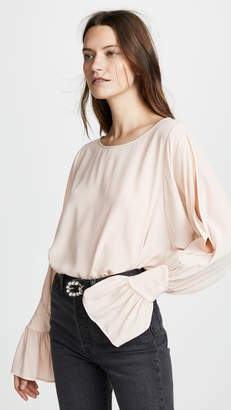 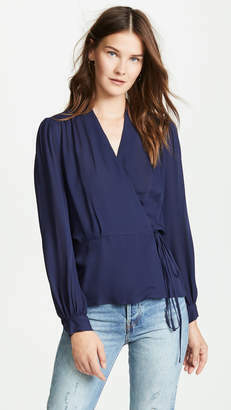 It's not everyday you come across a turtleneck as glamorous as L'Agence's 'Samara' blouse. 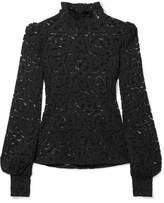 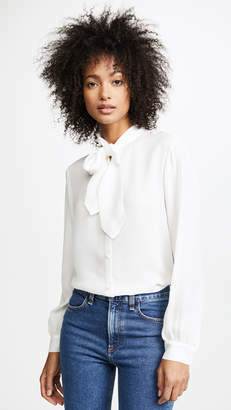 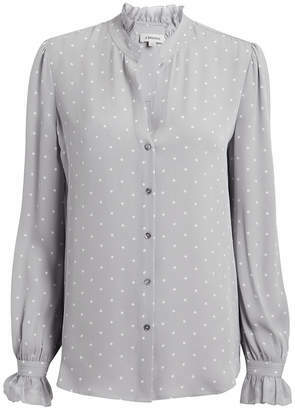 It's made from floral stretch-lace with puffed sleeves and a ruched collar that that add an element of Victoriana. 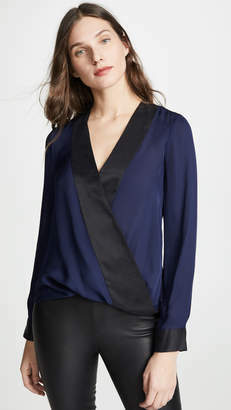 Balance the sheer finish by layering a tonal camisole underneath.